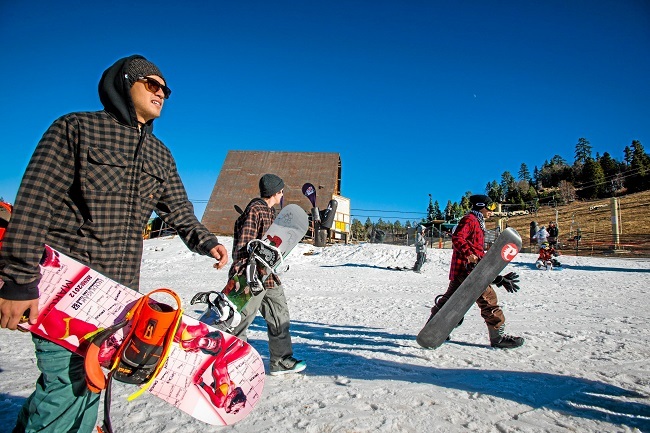 Each winter, so many talented snowboarder flock to Bear Mountain, SoCal snowboarding oasis, to pick apart the top-to-bottom park created by the prestigious Bear park crew. The creativity of the set up combined with the variety of progressive riders makes for some next level snowboarding. In the first episode of Bear’s Built from Scratch, enjoy your favorite park riders as they build laps from scratch during the 2013-14 season at Bear. Featuring Scotty Vine, Lenny Mazzotti, Jake Schaible, Justin Mulford, Castro, Johnny Miller, Chris Bradshaw, and Zak Hale.